Item: CVA 784-178 - 8. 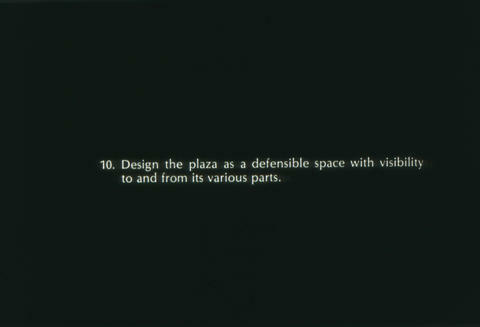 Provide good plaza management, with emphasis on maintenance, operation and activity programming. Item: CVA 784-179 - 7. Design with sufficient surface and spatial articulation so that larger open spaces are broken with smaller, more easily identifiable and relatable areas.